Leeds Young Film Festival has announced the programme for its 18th edition, taking place 10-20 April across Leeds. The Festival, part of Leeds City Council with support from the British Film Institute and Arts Council England, is now the largest family film event in the UK, welcoming over 11,000 young people and their families to watch, learn and play across the City in four Zones covering the worlds of film, animation, and virtual reality: The Film House at Leeds Town Hall, Animation Central at The Carriageworks, Reel Kids at Hyde Park Picture House, and, new for 2017, the first virtual reality experience just for families: VR Zone at Leeds City Museum. Over 50 films and events have been announced for young people aged up to 12 and their families. The Festival has grown rapidly since the introduction of The Film House and Animation Central to its offer, expanding the family film experience to include hands-on activity and immersive theatre and wider art forms, which has seen its audience grow by 120% in just three years. After a sell-out event in 2016, Animation Central will once again host world-leading animators, delivering workshops and shows across Easter Weekend for children aged 4-12. LEGO art director Tori Davis will visit from LEGO headquarters in Denmark to talk about her work, and will work with children to turn themselves into a LEGO mini figure by learning to draw the LEGO way. Further workshops include stop motion and flip book animation, animating with LEGO, cartoon sound effects, plus Minecraft themed workshops creating fun for all ages, all Easter long. Tori Davis will also be a special guest at the daily Animation Show: an interactive family event where families can watch cartoons together, test their animation trivia knowledge, and go behind the scenes to discover the secrets of some of their favourite programmes. The audience will help animators including Tori, Paul Couvella (Scream Street, Pingu) and John Ashton (Postman Pat, Clangers) make an animated movie live on stage. LYFF2017 also welcomes BAFTA Kids for two very special preview events with Cartoon Network and Disney Junior. Animation Central will be one of the first places to see Disney Junior’s brand new series Mickey and the Roadster Racers, and Cartoon Network’s The Amazing World of Gumball before they screen on TV later this year. Kids will get the chance to win Cartoon Network and Disney Junior goody bags, and a special prize is on offer for adults too. Aardman Animations’ ‘Animation Stations’: interactive tables which allow visitors to play and experiment with animation and have a go at using the Animate It software to create their own mini animation. Visitors can also see an original Aardman set featuring Morph, created by Peter Lord and David Sproxton, the co-founders of the Oscar-winning Aardman Animations. Spacecadets’ Day of the Dead-inspired giant inflatable sugar skull with transformable features and hypnotic eyes. The Dome: An immersive 360 degree experience allowing viewers to experience cinema in a whole new way, planetarium-style with jaw dropping content from NASA and Audiosonic Vision, created by the American Museum of Natural History, re-edited by JellyFish Moon and scored by The Constellation Collective. Building on the hugely popular Charlie and the Chocolate Factory experience at The Film House 2016, Sneaky Experience return with their unique brand of experiential theatre for families at Leeds Town Hall. This year, the work of Dr Seuss is the inspiration for Leeds’ must-attend Easter weekend event, which last year welcomed over 8000 people. ‘Whooo’s in the Hooose?’ will immerse audiences in a world of fun inspired by Dr Seuss, including a theatrical egg trail, rhyming workshops, interactive storytelling, a Seuss-inspired Sing-a-Long, a character-led parade, and an audience film shoot, plus the opportunity to be transformed into a Seuss inspired character in your very own film via green screen technology. For even more Seuss-inspired fun, families can watch a variety of Dr Seuss films at the Carriageworks Theatre including The Cat in the Hat and Horton Hears a Who. LYFF2017 encourages families to ditch the tablets and TV, the re-runs and the overpriced multiplex, and watch films with the whole family on the big screen for pocket-money prices this Easter. Hyde Park Picture House will screen films nominated for the 2017 Best Animated Feature Oscar (Moana, Zootropolis, My Life as a Courgette, and the BAFTA winning Kubo and the Two Strings) alongside brand new films for children that can’t be seen anywhere else. The Festival will host an exclusive opportunity to see the hugely popular Christmas TV hits The Gruffalo, Room on the Broom and Revolting Rhymes on the big screen at Hyde Park Picture House, with special activities and dress up opportunities for families provided by Leeds-based ‘baby rave’ pioneers Boomchikkaboom. Parents can expect a relaxed and fun atmosphere aimed at under 5s for the animated screening, with extra activities designed especially for youngsters before and after the films. A special event for Pokémon fans also features in the Hyde Park Picture House programme: fans will be able to watch Pokémon IV: 4ever on the big screen before going on a group Pokémon GO hunt. 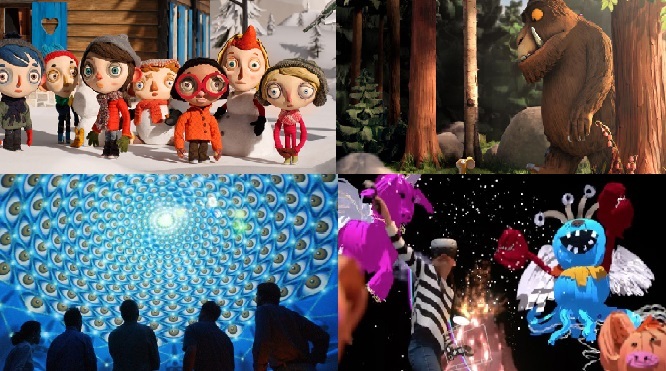 In support of Leeds’ bid to be the 2023 European Capital of Culture, films from the EU take the spotlight with new features for children from France (the Oscar-nominated My Life as a Courgette), Germany (Fortune Favours the Brave), and Spain (Zip & Zap and the Captains Island) and Denmark (Antboy III). Encouraging families to share their screen time at Easter, the biggest cinema hits from 2016 will return to the big screen at bargain prices including The BFG, The Jungle Book, and Pete’s Dragon, alongside special anniversary screenings of cult classic The Princess Bride and the Disney classic The Rescuers, with children’s tickets just £3 and family passes for £10. 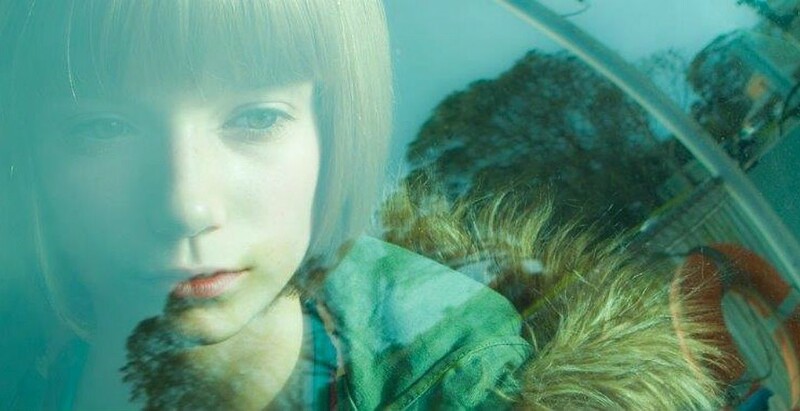 “Year after year, Leeds Young Film Festival brings young people and families together for an event that celebrates film with an exciting and engaging programme of events. Tickets for ‘Whooo’s in the Hooose’ with Sneaky Experience are on sale now at www.sneakyexperience.co.uk, and from City Centre Box Office. 37th Cambridge Film Festival announce full line up.